Added on October 18, 2016 by sage hammond. Congratulations to Brooke and Martha! 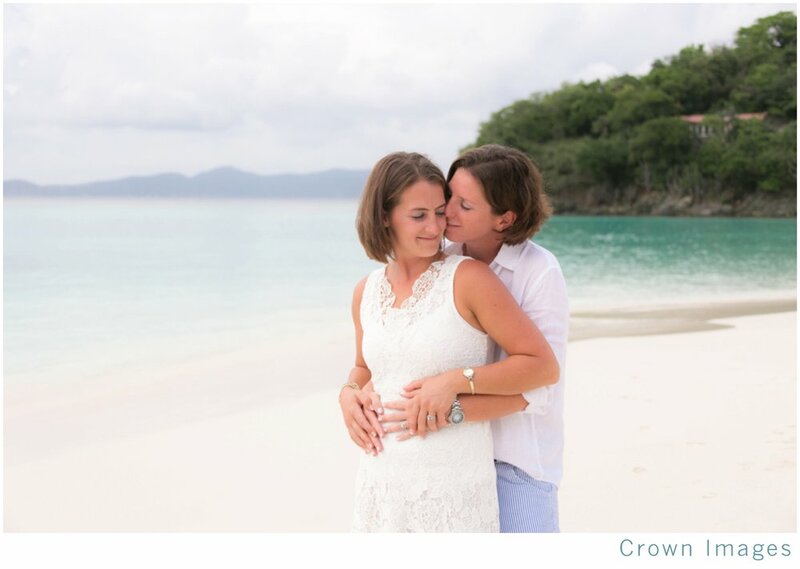 Trunk Bay has been voted one of the top 5 beaches in the world for the past several years, so it's only fitting that Martha and Brooke would choose this perfect beach for their perfect relationship. The ladies decided to get away from the hustle and bustle of the states and chose to come to the beautiful US Virgin Islands to have their St. John Wedding. They chose to keep it small with only one guest, which is sometimes the best way to do it! It was much more appealing for them to elope by themselves in paradise! It was such a perfect day on the beach for Brooke and Martha to exchange vows. It was quiet and it was great for creating these beautiful photos of their love for one another. Trunk Bay Beach is great for St. John weddings any time of day, but they chose to wed in the afternoon. I couldn’t have asked for better lighting. We shared lots of laughs as the three of us set up awesome photos all over the beach. They are such a sweet couple and I feel fortunate to have been a part of such an important day in their lives!